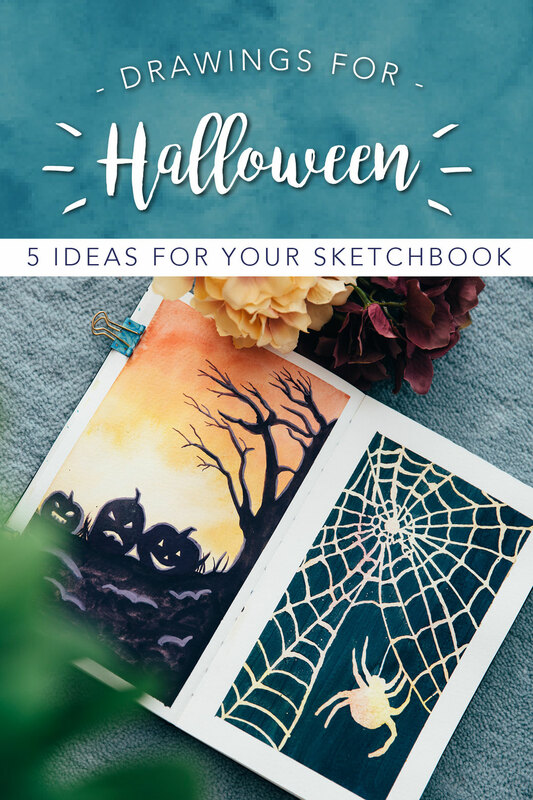 This week me and Windy Iris decided to do a collab with 5 Halloween drawing and painting ideas each. Those are perfect for your sketchbook or to hang up as decorations. We are so excited for this Halloween and therefore had a lot of ideas. In case you decide to recreate one of the pages, tag me on Instagram @visualmindart and use the Hashtag #visualmindart to make sure that I will see it. I hope you all feel inspired and ready to create something!